The long-running case between Guaranty Trust Bank GTBank and Innoson finally had its day in the Supreme Court, and although there have been some wild tales, here is how it went down. The records of the apex court show no such thing, instead, it asked both parties to return to the court of appeal, Enugu judicial division, for a hearing on GTB’s appeal scheduled for the 14th of June, 2018. GTB has also released a statement on the actual events of the day at the Supreme Court. “The attention of GTBank has been drawn to false, mischievous and malicious statements circulating in the news and social media in respect of a purported directive by the Supreme Court of Nigeria to the Bank to make payments to one of its debtor customers,” it said. In fact, the Supreme Court simply directed GTB and Innoson to return to the court of appeal for a hearing of the bank’s substantive appeal on the matter. It is actually in the tradition of the apex court to issue definitive rulings only on Fridays, and what it delivered today was more or less a directive. However, court feelers say this is actually a win for GTB as it grants what the bank has always wanted—and what Innoson has consistently stalled, which is for the court of appeal in Enugu to hear the bank’s appeal. 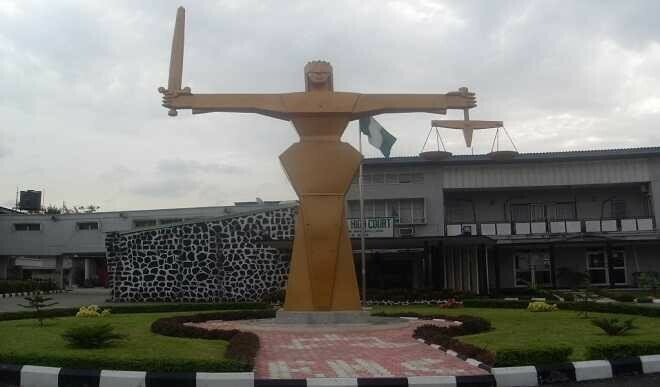 The bank’s appeal of a 2013 high court judgment gotten by Innoson had stalled at the court of appeal for the past two years due to the pending motions filed by both parties at the Supreme Court. On Thursday, June 7, 2018, the apex court finally sat on the matter and asked both parties to withdraw their motions and return to the court of appeal, because GTB’s appeal at the lower court had not been heard. “The implication [of the supreme court directive] is that both parties are going back to the court of appeal for the Bank’s substantive appeal to be heard,” a source in one of the legal teams of the parties said. One of the applications that were withdrawn and struck out by the Supreme Court is the plea filed by Innoson on 27th of February, 2015 asking for the court to order GTB to issue a money guarantee to the court. This is interesting because it means that, rather than the rule for the bank to pay Innoson 14bn as the latter had claimed, the apex court struck out that particular request. Following the directive by the Supreme Court, the substantive appeal filed by GTB will now be heard at the court of appeal, Enugu Judicial Division, on June 14, 2018. Back then, the court of appeal had expressed surprise that Innoson (the judgment creditor) is not desirous of allowing the appeal to proceed. Again, in the proceedings of October 24, 2017, in CA/E/275/2015 between same parties, the same Prof. Mbadugha appearing for Innoson and other respondents had scuttled proceedings when he refused to proceed with Appeal even though it was clear that the Appeal was ripe for hearing and opted to pay costs. Igbinosa is a financial analyst based in Abuja.